Finally it's Saturday again, mean I don't have to wake up 6.30a.m like the rest of my weekday~ the day I can get full re-charge^^ As I wake up I decided to do some blogwalking and ad clicking, and I thought that it's time for me to update my blog with new post^^ So what should I write?? Simple background of Justin: Born on 1st of March, 1994 (Currently 16 years old) born at Stratford, Ontario, Canada release his first album "My World" on November 17, 2009 start his road of fame~ continue with his hitz single "One Time" which later on reach his way into Billboard list. 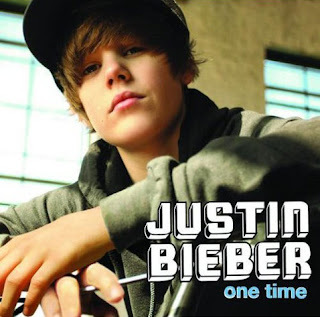 Three consecutive singles, "One Less Lonely Girl", "Love Me", and "Favorite Girl" all get into Top chart in U.S and Canada. hng~~~~ u love fluid mechanics.....n summore din send me his songs oso...HNG!!!!!!!!!!!!!! Mindy: Just to fool around with baby^^ I hate fluid really!!! OMG, i don't like Justin at all, but his songs quite nice. I just wrote about him!! And proposed as well....haha! Anyway, he's got some good voice!